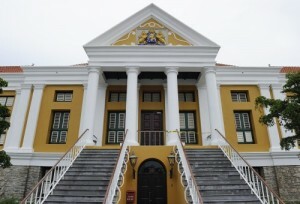 WILLEMSTAD - George Jamaloodin thinks he has been unjustly held behind bars for 18 months. That's what his lawyer Rudsel Martha reports. His detention in Venezuela was never ordered by a judge. With all the legal arguments, according to the Public Prosecution, Jamaloodin is at the wrong address. He should have argued that with the Venezuelan Supreme Court. The reason that he is still in custody in Valencia is because the signature of the Foreign Minister of Venezuela is missing for extradition. The ruling is set for August 30 at 2 o'clock.